Want to get closer to a complex wetland ecosystem in Sri Lanka? Take a wonderful boat ride down the magnificent Madu Ganga and discover its unique biodiversity. The Madu Ganga is considered a treasure trove of natural wonders which contains some of the pure mangrove forests in Sri Lanka. Its extensive wetland ecosystem is home to diverse species of animals and plants. The whole area spreads over 900 hectares while most of it is covered by water. The area has gained much significance due to the fact that it aides the local ecosystem by storing fresh water during the rainy season. During the boat ride, you’ll be able to spot massive mangrove forests, prawn fishing kraals or ‘ja-kotu’ and different species of animals in their natural habitat. One can witness a thick mangrove vegetation in almost all the banks of the river. Don’t forget to admire the breathtakingly beautiful mangrove thicket while gliding under the canopy of forest tunnels. Also known as the ‘kurundu duwa’, the Cinnamon Isle is a key attraction among many a tourist. It is in this part of the world where high quality and fresh cinnamon is grown. 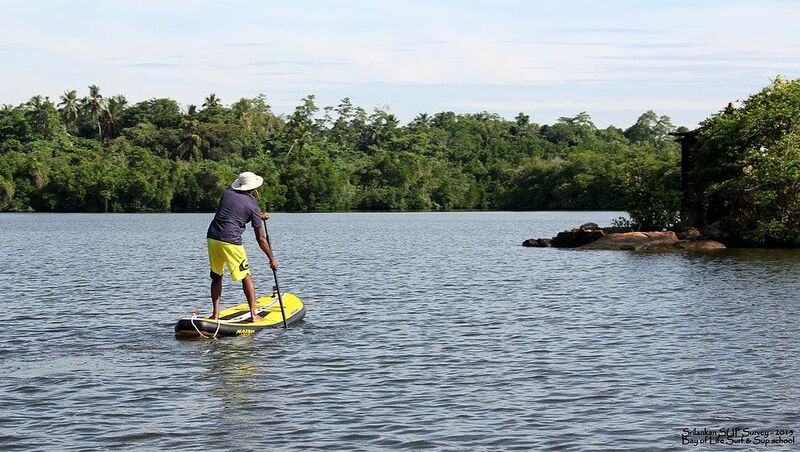 Those who are residing at many a boutique hotel Bentota the likes of The River House should definitely experience a boat ride along the river since it’s just a 30-minute drive to the Madu Ganga. How about experiencing a natural fish massage after a wonderful boat ride? You just need to plunge your feet into the water and fish will nibble away the callused skin.